Dow Chemical Company and the Dow Chemical Foundation will donate $1 million to support immediate relief and long-term recovery and rebuilding efforts associated with Hurricane Harvey. Dow will donate $100,000 to the American Red Cross Disaster Relief Fund, $100,000 to Team Rubicon, and $200,000 to other local nonprofit organizations assisting the region. Texas is home to approximately 12,000 Dow employees and contractors. 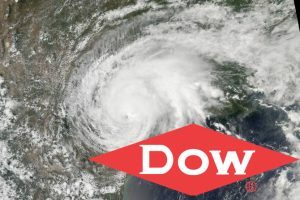 Dow has safely accounted for each of its employees, however, many are personally impacted by the storm. The company says it will also match employee and retiree donations up to $100,000 to the American Red Cross Disaster Relief Fund.